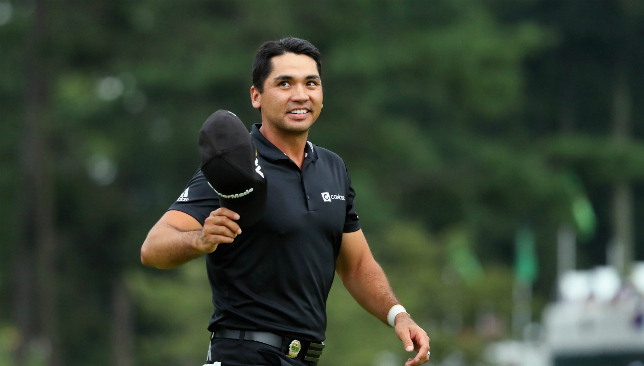 Among the many things which emerged from the recentlyconcluded PGA Championship, this is the most significant one – Jason Day thoroughly deserves the world No1 status and will continue to be at the helm for the foreseeable future. In a tournament in which he was beaten by one shot by Jimmy Walker, Day showed that in all the talk about the ‘Big Three’, or ‘Big Four’ if you include Dustin Johnson, he is slowly but surely opening up a huge gap against the others. Forget his stats – which are actually very impressive and almost Tiger Woods-like in the past one year – a couple of facts at Baltusrol have added to his growing legend. The first was how well he played despite the disrupted preparation he had for the tournament. He first picked up a virus on the eve of the tournament, and then spent an anxious night attending his wife at a hospital when she suffered from an allergic reaction on Tuesday. All of that led to just one practice round around the famous AW Tillinghast-designed course. That’s not how you want to go into a major championship, especially on a tricky golf course where you haven’t played any tournament before. And then there was that sensational 2-iron second shot he drilled into the 18th green in the final round on Sunday evening. He wasn’t aware that Walker was looking at a birdie putt a group behind him to increase his lead to three shots. An iron from 260 yards?! Believing he trailed by two shots, Day knew he needed nothing less than an eagle to give himself a chance of winning. And eagle is exactly what Day made. That is also the reason why he deserves the No1 crown. Through the years, the most dominant golfers in the history of the sport have been the ones who have consistently been able to produce the shots that matter in pressure situation, whether it be Ben Hogan’s one-iron at Merion’s 18th, Arnold Palmer driving the green on Cherry Hills’ first, or Woods’ chipin on the 16th at Augusta National. The greatest golfers have been able to dictate terms, something that Day has been doing on a regular basis now. The most remarkable thing about Day is his ability to raise his game during the major championships. He now has 13 top-10 finishes in 25 major appearances, which is a staggering 52 per cent. 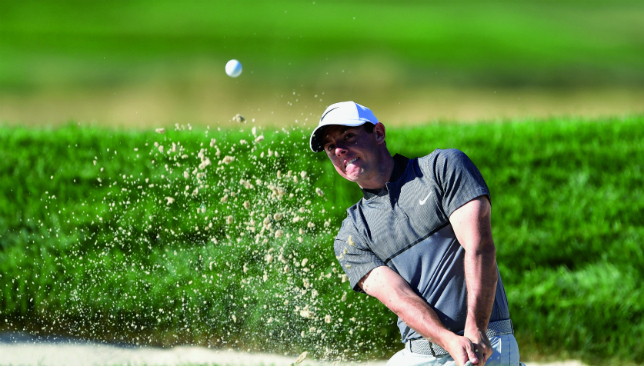 In comparison, Woods has 50 per cent top-10s, Nicklaus 45 per cent and Rory McIlroy 44 per cent. Obviously, 25 majors is just a fraction of what Woods and Nicklaus have played, and with just one win, Day is nowhere near Woods’ tally of 14 majors and Nicklaus’ 18, but it shows how consistent he has been, and how he is giving himself chances to win. As far as the top-five players in the world rankings are concerned, Day has the most number of points gained in 2016, which is the most useful data to show he is the best player of the lot. He also has the most number of wins – three, compared to two each by Johnson, Spieth and Stenson, and one by McIlroy. No wonder Day has opened up a lead of nearly three average points over the second-ranked Johnson. The only blip in Day’s season is that he could not win a major championship. But we really have been spoiled by Woods in recent years. Winning majors is tough, and it has been amply proven this year with four first-time champions wining the four big ones – Danny Willett at the Masters, Johnson at the US Open, Henrik Stenson at the Open Championship and Walker at the PGA Championship. All four are strong players, and so is everyone inside the top-20 of world rankings. On their day, each one of them can take on any quality of field and win. It is remarkable that Day manages to stay ahead of such a chasing pack. 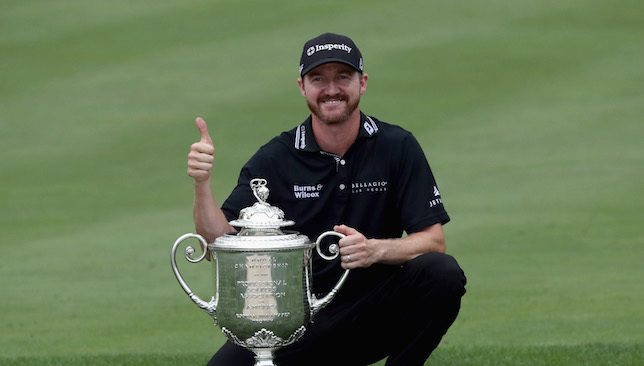 American Jimmy Walker became the fourth first-time winner of a major tournament this year when he beat defending champion Jason Day by one shot and claimed the PGA Championship title on Sunday. The Texan, world No. 48, was wire-to-wire champion as he finished with a bogey-free round of three-under par 67 at Baltusrol to finish on 14-under par. Day, who made a sensational eagle three on the 18th hole to put pressure on Walker, finished with a 67 himself and was runner-up at 13-under par. Walker had claimed a one-shot lead after the delayed third round was finally completed, carding a 68 to finish 11-under par and a shot ahead of defending champion Jason Day. A run of nine straight pars was enough to keep the 37-year-old out in front before he spectacularly holed a bunker shot on the 10th, and then drained a massive putt from nearly 30 feet to give himself a two-shot cushion against Day. Day made a spirited defence of his title, but he left himself a lot to do after starting with two bogeys in the first three holes. He bounced back with birdies on the fifth, ninth and 11th, but despite his late eagle, that was too little to catch up with the solid Walker. Open champion Henrik Stenson’s bid to become the second player after Rory McIlroy in 2014 to win the PGA Championship as well came to an end when he made a double bogey on the par-4 15th hole after over-shooting the green with his second shot. He finished with a 71 to be eight-under par. South African Branden Grace (67), posted the clubhouse mark at nine-under par which held for a while before American Daniel Summerhays (66) went one better at 10-under par. Japan’s Hideki Matsuyama (68) and American Brooks Koepka (70) joined Grace at nine-under par. World No. 3 Jordan Spieth (68) missed a birdie from six feet on the 18th to finish the tournament on six-under par. Also on six-under par was Padraig Harrington (68), the 2008 PGA winner. The 44-year-old Dubliner made a fast start with birdies on the third and fifth, but was unable to make any further inroads. “They’ve put a lot of back pins out there and it’s difficult to get close to them with these soft greens,” Harrington said. “I didn’t really give myself many chances and it was a little disappointing not to birdie the last, but such is life. Harrington started the week 140th in the FedEx Cup standings and needs to climb inside the top 125 before August 21 to qualify for the first play-off event the following week. “So many things are better,” the three-time major winner added. “I’m happy with my swing, getting a lot better with my putting, getting a lot better with my mental side.